Hopefully this card doesn't look too cluttered. 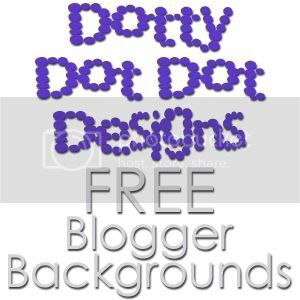 I kept thinking it needed one more detail, so it wound up being a pretty good medium and technique sampler. The heart is cut using the Don Juan cartridge of my new Cricut at 2 inches, I think. 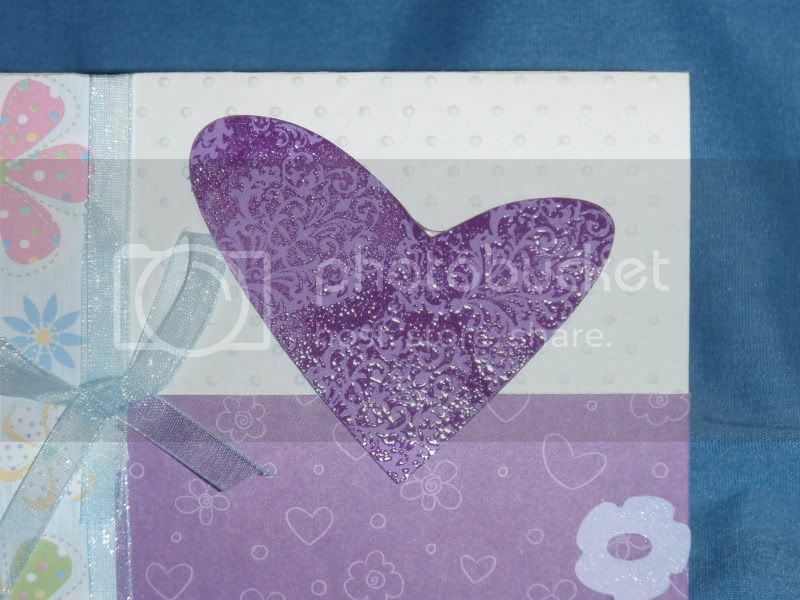 I then stamped a pattern stamp in a purple shade using Studio G ink, then clear embossed it. Michaels had these great background stamps in their dollar bin, so I bought about 5 on Saturday. The only difficulty with them is that they're not clear, so you have to guess where in order to line them up. I had to do both sides of the heart to get it right, but the outcome works, I think. 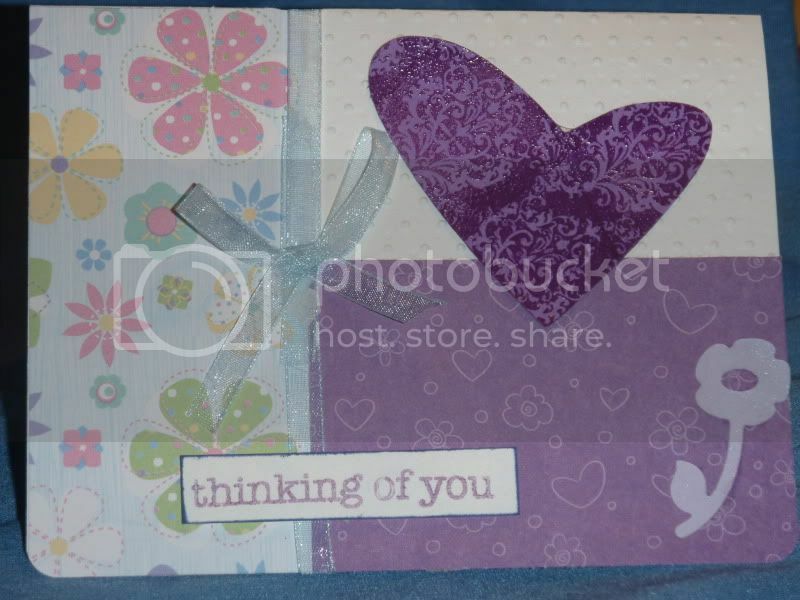 The greeting is stamped using a fantastic Hero Arts clear stamp set called "Everyday Sayings." 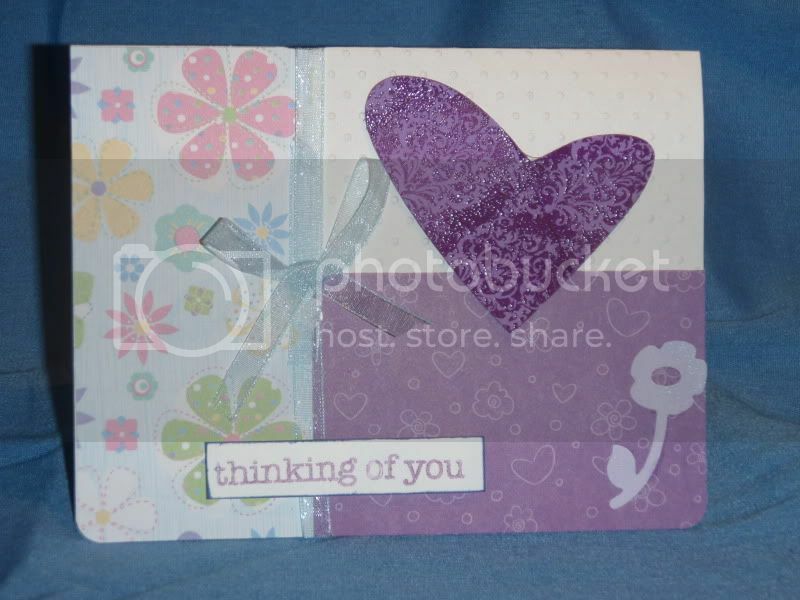 I embossed the base of the card using a Cuttlebug embossing folder. 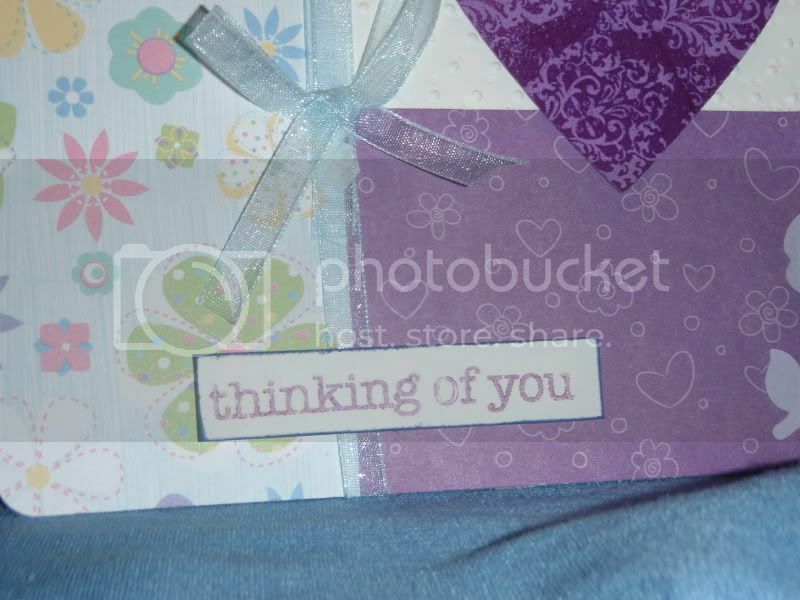 The flower is punched using my BigKick die-cutting machine, but I'm not sure what Sizzix set it is.